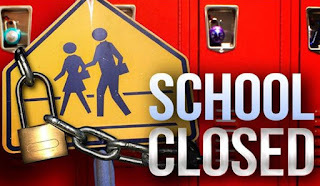 The Northern Provincial Education Directorate has decided to close down 248 government schools in the Northern Province by the end of the year if which have fewer than 50 students and no progress would be shown. During the period of last ten years the said schools had less than 50 students. Discussions have also been held to transfer the students of the closed down schools to nearest schools. The Northern Provincial Education Directorate is to make the decision, as the government will have to incur a huge cost to maintain schools with fewer than 50 students. It was stated in a recent discussion held at the Education Ministry of Northern Province that there are plenty of schools in other provinces too with less than 50 students. Some officials who attended the discussion said that this decision would have to be made for such schools in the Northern Province and the rest, since there is no sense in running schools less than fifty students.